All of our tour guides are local Navajos who grew up in and around the Monument Valley area. During the tours, they provide access to trails and paths not open to the public while offering insight about the Valley. They are proud of their heritage and are more than happy to share stories about their culture and history, so don’t hesitate to ask! Our tour vehicles are modern, clean and well-maintained, providing top safety and comfort. The open-air vehicles in our fleet come equipped with large transparent flaps that can be quickly deployed, should the weather take an abrupt turn. 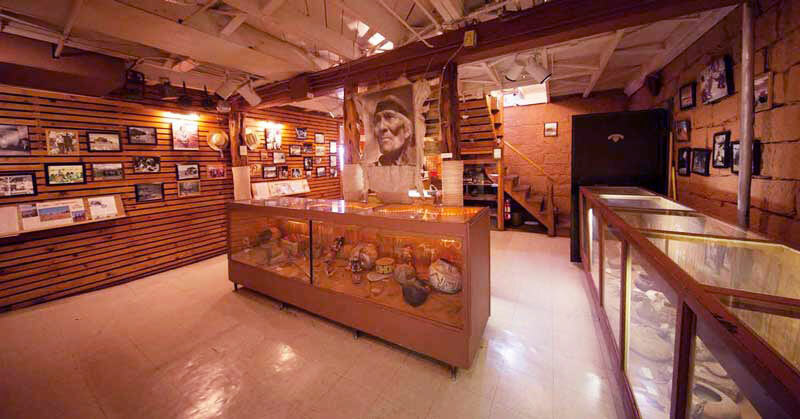 During your tour, you will have the opportunity to stop and gaze at the panorama where John Ford, John Wayne, and countless other historical figures of the Southwest have left their footprints. All tours include the entry fee to Monument Valley Tribal Park, a map, water, tickets to Earth Spirit Theater and traditional Navajo cultural demonstration. Don’t forget your camera! This tour covers the famous 17-mile loop of Monument Valley. View many of the famous monuments when the tour makes stops at The East and West Mittens viewpoint, John Ford’s Point & Three Sisters viewpoint, the Totem Pole viewpoint, Artist’s Point and the North Window viewpoints. You also have the opportunity to visit our on-property authentic Navajo Hogan and view a rug-weaving demonstration by a Navajo woman. 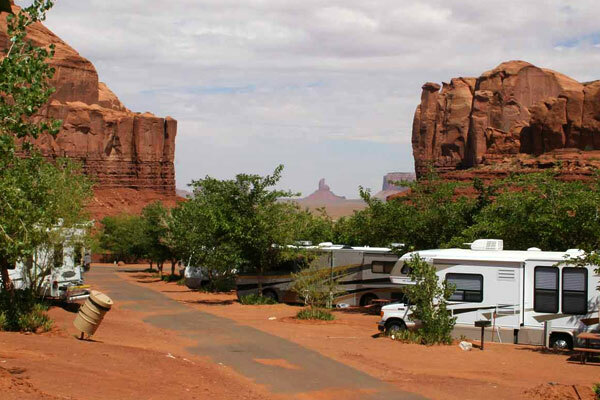 This tour covers the famous 17-mile loop of Monument Valley plus visits some restricted back-country stops. View many of the famous monuments when the tour makes stops at The East and West Mittens viewpoint, John Ford’s Point & Three Sisters viewpoint, the Totem Pole viewpoint, Artist’s Point and the North Window viewpoints. In the back-country, you will make stops at The Sun’s Eye & Ear of the Wind. This area of the Navajo Tribal Park boasts hidden treasures like natural arches and provides different vantage points from the traditional 17-mile loop road. You also have the opportunity to visit an authentic Navajo Hogan at a local residence to view a rug-weaving demonstration by a member of the local Navajo family. 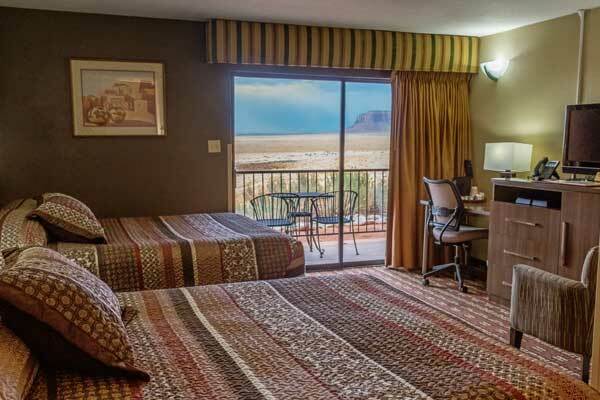 Wake up to the morning majesty of Monument Valley! Start in front of the world-famous Mitten rock formations and make your way through the Valley as the sun casts its light upon the mesas and buttes. This tour covers viewpoints along the 17-mile loop road. End your day by watching nature’s slideshow of ever-changing light and the different moments it creates. This tour winds its way around the 17-mile loop road as the light dances around and lights up the monuments. Finish in front of the Mittens for the sunlight’s last glow. This eight-hour tour covers all the above-mentioned areas, plus it visits scenic Mystery Valley. Mystery Valley is an area full of Anasazi Ruins and rock art, not seen from the main highway. Explore Mystery Valley in the morning, followed by a barbeque lunch cooked by your tour guide. You will then continue on into Hidden Valley, covering the same 3.5-hour tour, visiting the Hogan and all the well-known formations. If you are fortunate enough to be in the area during the full moon, Goulding’s Lodge & Tours in Monument Valley offers a unique expedition allowing you to experience the beauty and wonder of Monument Valley, set aglow by the natural moonlight. Note: bring extra layers during cold weather. A picturesque southwestern journey to see stunning geological formations often missed by traditional Monument Valley tours. Learn the rich history of the area as you snap photos of Mexican Hat, Moki Dugway, Gooseneck State Park and more. Includes a Native American flute or drum demonstration and lunch. Special custom tours are available with a minimum of four people. Call 435-727-3231 to ask about prices, times, locations and availability. The Mittens may cast long shadows, but the sun will find you while you are on your tour. Skin protection is highly encouraged. The scenery is beautiful, but the terrain can be rough in spots. We recommend you wear shoes with good traction that will protect your feet from thorns. Weather in the valley can be very unpredictable. Windstorms can and do occur without warning throughout the year. These storms can bring lightning, rain or snow with them, depending on the season. Water is provided on all tours, but you are encouraged to bring a water bottle and any light snacks that you may want to carry with you. Of course, you wouldn't want to forget a camera to take pictures of the breathtaking mountains of Monument Valley. *Taxes extra. Please consult with the front desk or your tour guide if you have any questions.